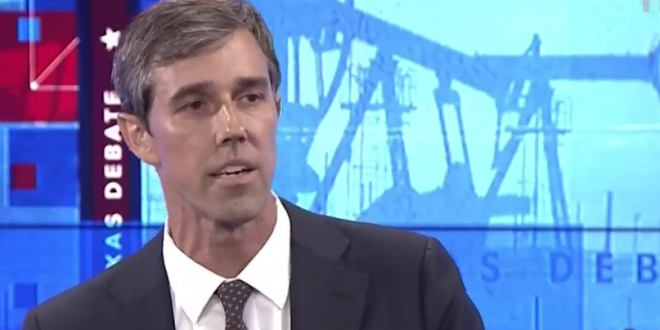 Beto Goes After Lyin' Ted In New Attack Ads [VIDEO] - Joe.My.God. Beto O’Rourke is on the attack against Ted Cruz. The Democrat aired his first handful of TV ads directly criticizing the Republican senator Wednesday, following a debate performance Tuesday night in which he repeatedly attacked Cruz, even invoking President Donald Trump’s 2016-vintage “Lyin’ Ted” nickname and accusing Cruz of being dishonest with voters. O’Rourke’s new ads are all direct-to-camera appeals from the Democrat, highlighting issue contrasts with Cruz in three areas: health care, education and immigration. They aren’t typical attack ad fare replete with grainy footage of Cruz or narrator voiceovers — but each of them directly attacks Cruz’s policies.